Homegrown auto-maker, Mahindra and Mahindra today unveiled the new generation Scorpio with five variants priced between Rs 7.98 lakh and Rs 11.46, says a PTI report. The new offering comes with contemporary styling, luxurious interiors and advanced technology features. "This new generation Scorpio will deliver exceptional value while offering accessible technology," Mahindra group Chairman Anand Mahindra said here. The company had launched Scorpio in 2002 and has so far sold over 4.5 lakh units. Besides, Scorpio has always met the company's expectations all the time which is why it is iconic and enduring, Mahindra said. "We have made some styling changes of course, finally that is the least of the changes we have made in this car, this is a real new animal underneath the body, it is a new generation chassis, new generation transmission, interiors are completely new, there is so much to look at," he said. To the question whether Scorpio was taking the company into the global league, Mahindra said, "We already think we are a global brand...Scorpio is going to do even better globally." The Mahindra group chairman said that Scorpio already has an established brand in Chile, South Africa, Peru, adding, "This (the new offering) will be, I hope, a new life and new chapter in the history of this brand." As many as 74,000 Scorpios are already on the roads outside India, he said. The new Scorpio will be available with 7-, 8- and 9- seater options. Mahindra & Mahindra Ltd Executive Director Pawan Goenka said the new offering would give additional volumes. "Whenever new product is launched and it is liked by the consumers, there is a spike in volumes of that product. 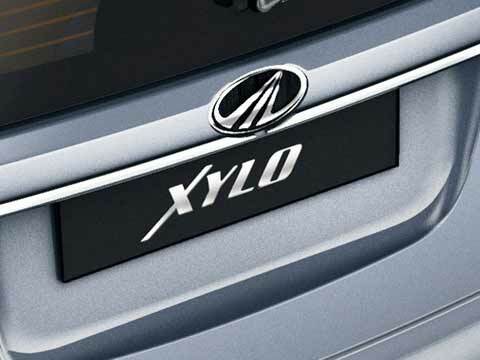 One product can make a difference in fortune for companies, we have seen it in the past, with the launches of XUV, Xylo, Scorpio," Goenka said.